Trinity Church Aldgate (previously known as Trinity Hills) is a group of ordinary people who follow an extraordinary God. We are men and women, girls and boys who have put our faith in Jesus Christ. We have been brought into his Kingdom to be his people through his his death for us and his victorious resurrection. To be and make disciples of Jesus Christ, in Christian community, for the good of the world, to the glory of God. Trinity Church Aldgate meets each Sunday, at both 9am and 11am, in the Aldgate Memorial Hall. Everyone is welcome! Whether you’re curious about the Bible and the Christian faith, visiting from another church, passing through town, or invited along by a friend, you are more than welcome. Any Sunday that you are with us, you’ll hear about Jesus, about what God did so that we could know him, and you’ll have an opportunity to respond to his love. We’d love you to join us! 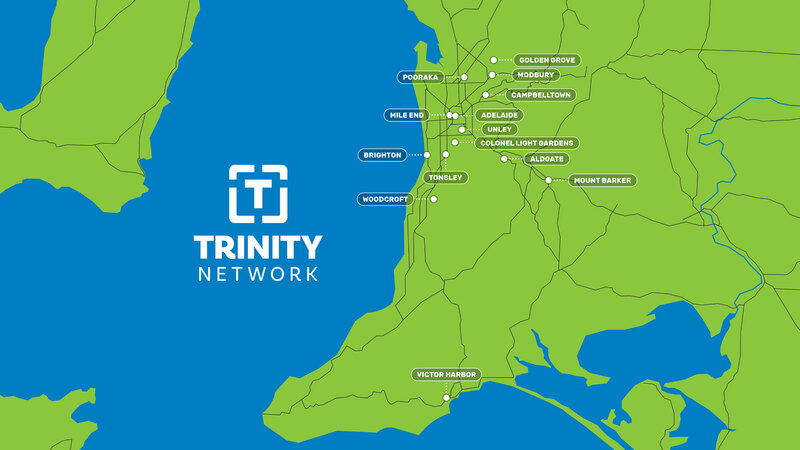 Trinity Church Aldgate is part of the Trinity Network—a growing network of churches that work together to reach Adelaide and South Australia with the good news of Jesus Christ and the call to follow him. Visit www.trinity.network to learn more about the Trinity Network.